Oregon is a diverse state with many industries based in natural resource use and development. REAL OREGON is a leadership program that brings future leaders from agriculture, fishing, and forestry together to learn leadership skills and gain a greater understanding of Oregon through a series of statewide sessions. Growing natural resource leaders who make a difference for Oregon. Develop leaders who seek positive outcomes, economic vitality, and natural resource stewardship to enhance the quality of life for all Oregonians. Class members visit five different locations across the state to gain leadership skills and gain an in-depth understanding of the agriculture and natural resource sectors that define Oregon’s economy. 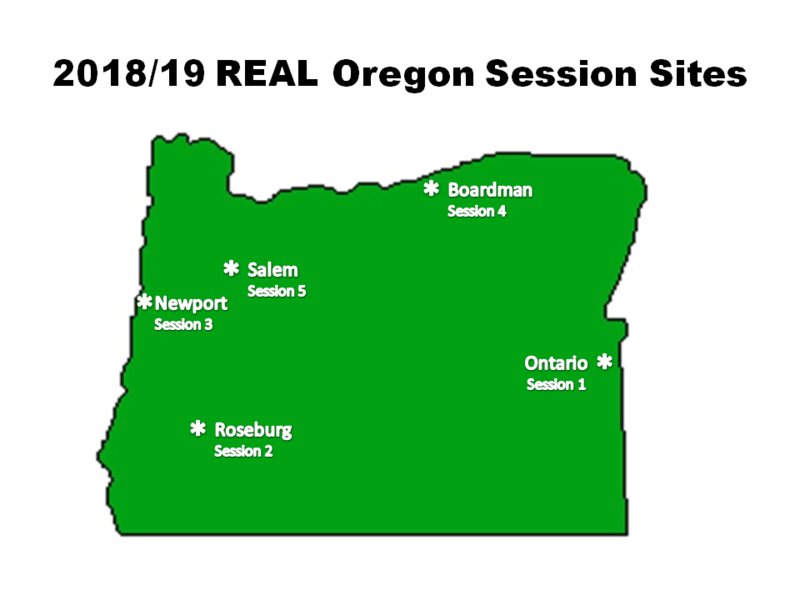 REAL Oregon begins in November and concludes in March the following year, with the leadership group meeting one time per month. Class members will spend approximately 2.5 days in each of these locations. Agricultural and natural resource producers and allied industry members are encouraged to apply. Class size is limited to 30 participants. Applications are available here.